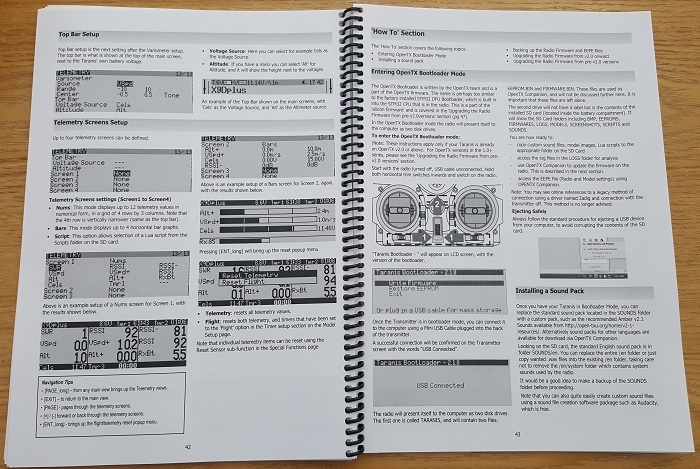 For the Taranis X9D Plus user this comprehensive manual written and put together by Lothar Thole is a must have. 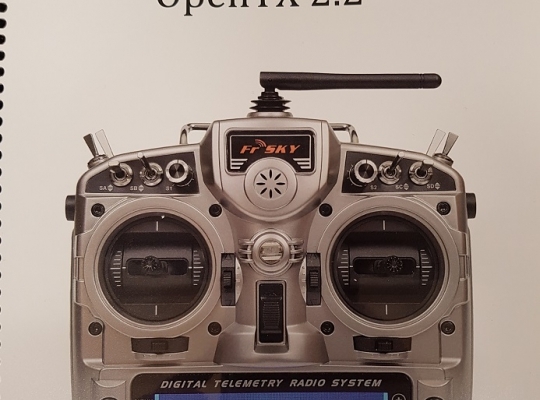 An easy to follow thorough page by page explanation of the hardware and how to program, detailed with diagrams to assist you to achieve the best from OpenTX and the Taranis. 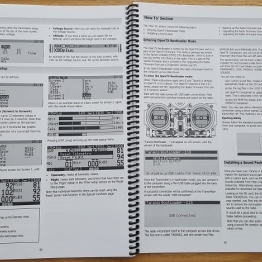 The manual comprises of three main sections: the Reference section, a 'How To' section, and a series of Programming Tutorials. • The Model Setup pages, which go over the details of every control and function. There is a chapter on learning to create custom functions for the Taranis using LUA script, including examples you can work with. Telemetry is also covered in great detail. The Programming Tutorials include specific examples for programming a basic 4 channel glider, a flying wing, adding a motor, and programming a multirotor using Betaflight. They are designed to show the newcomer how to go about programming and setting up a model. When following the examples, the user is directed to the relevant Reference sections for a fuller explanation of each function and details of the relevant settings. The examples cover all the basic programming steps (including setting up the Inputs, Mixer and Outputs). It then covers mixes for improvements to flight behavior, and the use of Global Variables and Special Functions. The user will be able to adapt these techniques to their model, and in doing so become familiar with OpenTX while gaining an understanding of the control flow. Because OpenTX is immensely flexible and powerful, with no standard pre-programmed mixes, there are multiple ways to accomplish the same objective. For this reason best practice is described, so that you can develop a logical and consistent approach to programming all your models. This will help to ensure that you will still understand how your model’s programming works when you come back to it after some time. 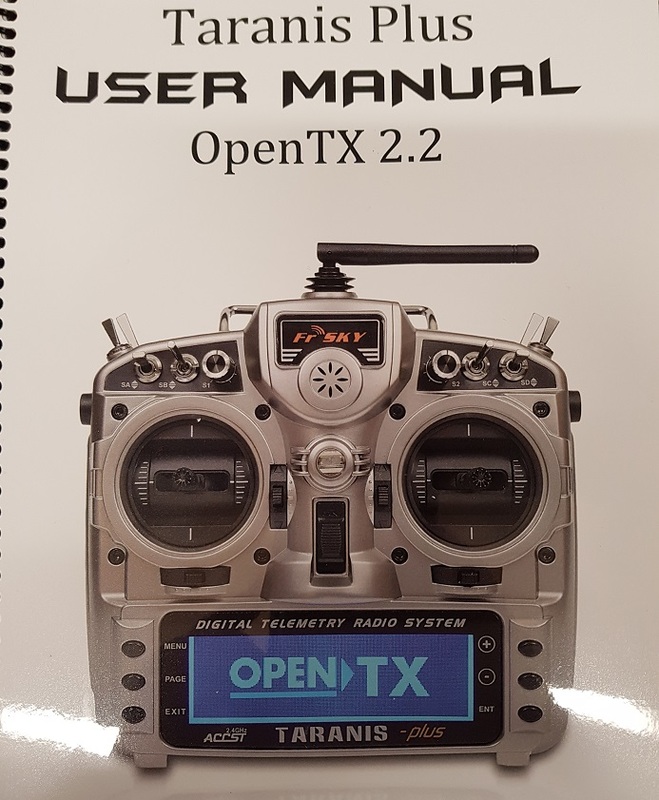 Whether you want to become an OpenTX power user or would just like to have a good reference manual, the Taranis Plus User Manual is worth its weight in gold.